It is quite common for a roots album to possess a minimalistic production sound leaving an overriding live feel to the music often recorded on a single take. 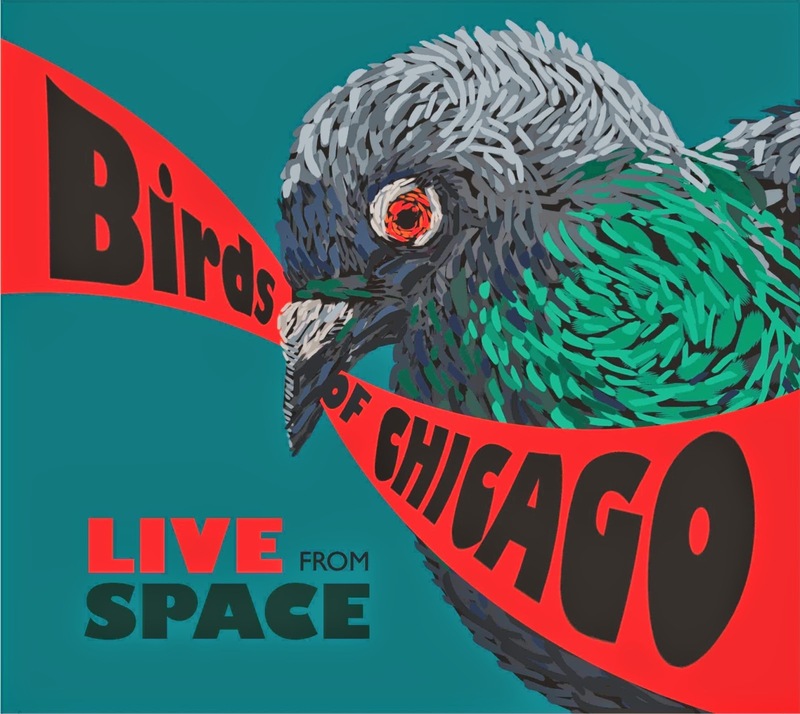 LIVE FROM SPACE, the latest release by versatile North American outfit Birds of Chicago achieves a similar objective albeit from a different angle with a live recording possessing a crystal clear sound to rival a studio release. 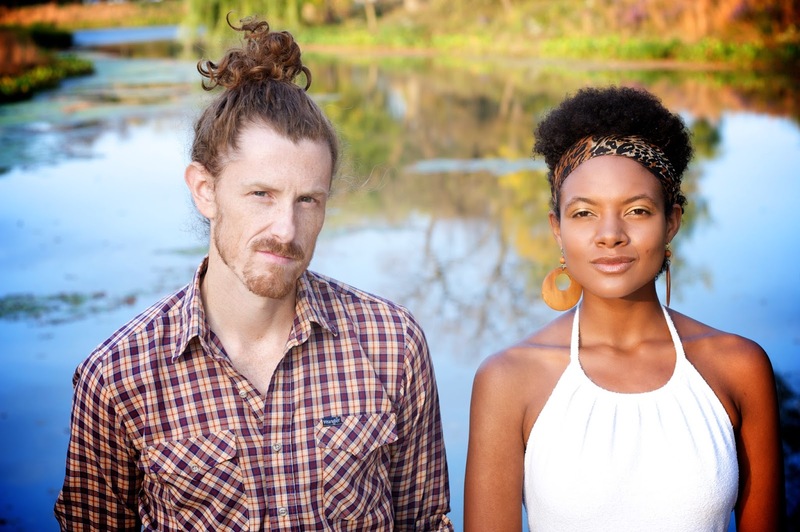 If you are new to the work of the band’s core members, J T Nero and Allison Russell, then this comprehensive and authentic album will act as the perfect introduction to their appealing musical talents. It was a surely a magical evening back in the summer of 2013 at the Evanton SPACE venue in Illinois, USA when JT and Alli served up this sumptuous amalgam of abrasive American roots music laced with a dressing of beautiful soul. The way the duo blends their contrasting styles around 17 self-composed tunes is the most striking feature of this record and will whet the appetite to savour this delight in person. Apart from their self-titled debut album in 2012 under the Birds of Chicago name, JT and Alli have collaborated for a number of years which reached a high on JT Neros’ MOUNTAINS/FORESTS record in 2011. It is the title track from this album which is the towering song on LIVE FROM SPACE and is conducive to making the record a pleasurable listening experience. Not far behind this highlight is the mightily appealing pop-infused duet ‘All The City Girls’ where JT’s gruff vocals conjure up positive images of Rod Stewart shaping a song in an inimitable style. Many will be aware of Allison Russell’s participation in Vancouver –based roots combo Po Girl and in her own sultry style she adds the elegance to the compelling sound of Birds of Chicago. Whether with her soulful vocals, impromptu clarinet or bi-lingual delivery, the richness of her presence graces this record in epic proportion. Her writing contributions include a Gallic feel to the Francophile number ‘Sans Souci’ with banjo and accordion merging the cultural divide. Also from the pen of Alli was the Po Girl song ‘Kathy’ while the beautiful ‘'Till It’s Gone’ was lifted straight from their HOME TO YOU album. Jeremy Lindsay aka JT Nero is best known for his work with JT and the Clouds and their 2010 album CALEDONIA was a fruitful selection ground for the live album material, best represented by the excellent ‘Funeral’ and the fine ‘I Have Heard Words’, the latter blessed with some wonderful clarinet to raise the soul stakes. JT and Alli seem to love the flexible feel to the Birds of Chicago project with musicians wondering in and out but made sure for this special occasion the full 7-piece band was present with a melange of sounds ranging from the traditional vibes of the mandolin to the contemporary soulful presence of the organ. The 76 minute length of LIVE FROM SPACE may be a slight concern to those understandably preferring more time efficient compact releases but to reassure you, this album does not outstay its welcome. The challenge is for JT and Alli to recreate the ambience and vitality of this record on their April/May tour of the UK to support its release but the pleasure will certainly be with those in the presence of their quest. Birds of Chicago are starting to spread their wings and joining them on the flight by supporting this live album is a suggestion not to be ignored.